Three short and charming stories set in Australia. In the first containing the book’s title, Amanda writes to her sister Sonya from overseas about the love of her life, Thomas, a fisherman who has literally just “got away.” This story is poignant, yet contains humor and an optimistic bent. In the second story, a grandmother struggles with a change of fortunes and the realization that she will have to sell the piano that has given her granddaughter such pleasure. Grandma’s daughter, Angela seems cold and indifferent to her dilemma. The last story brings Caroline back to the beach where she met her true love twenty five years ago. She meets Barry, a young artist, and strikes up a conversation. He reminds her of the man she left behind long ago. A surprise ending brings the story full circle. 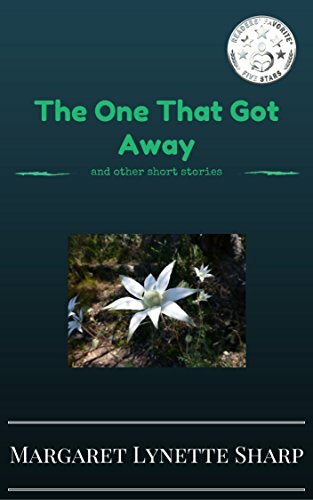 The author does a good job of developing her characters and creating the mood for each of these short stories. They are a quick and delightful read. Recommended for anyone age ten and older who enjoys clean well-written short stories. 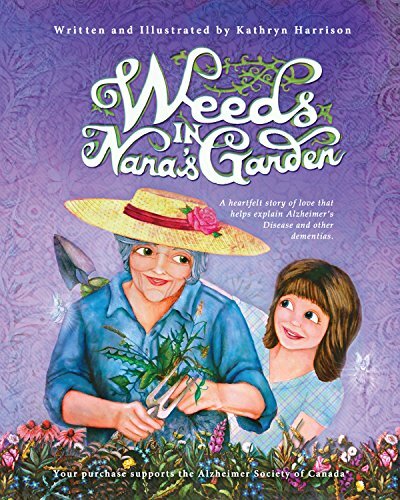 Weeds in Nana’s Garden: A heartfelt story of love that helps explain Alzheimer’s Disease and other dementias. This well-written book is poignant and beautiful. The author tackles a difficult subject with which many families are forced to face. By using the metaphor of a garden overcome with weeds, the author introduces the subject of Alzheimer’s disease and related forms of dementia. The protagonist is a young girl who enjoys planting seeds in her Nana’s garden every spring. She laughs and dances as her grandmother explains the fairies are sprinkling their magic dust in the garden. They work the garden as the flowers spring to life. They observe the changes in the garden as the seasons change. Then one summer, the little girl notices weeds growing in the garden. She inquires of her Nana whether they should pull them out, but her grandmother just nods. Confused, the little girl asks her mother why Nana does not remove the weeds and her mother tenderly explains that Nana’s brain is sick and that like the garden it is becoming tangled and confused. She reminds her daughter that like the flowers growing among the weeds, the Nana they remember is still underneath. As time goes on, the weeds multiply and Nana’s condition worsens. The little girl has grown and she learns to deal with reality. She sings and dances in the garden once more, now taking over the responsibility for the garden while her grandmother rests sitting underneath a tree. The author reminds us that our mothers and grandmothers are treasures, but like the cycle of the seasons, they will not be with us forever. There is a wonderful list of questions and answers that can be used to explain dementia to children. Harrison donates 20% of her sales to the Alzheimer Foundation in Canada. Recommended for parents, grandparents, teachers and children ages six and older.